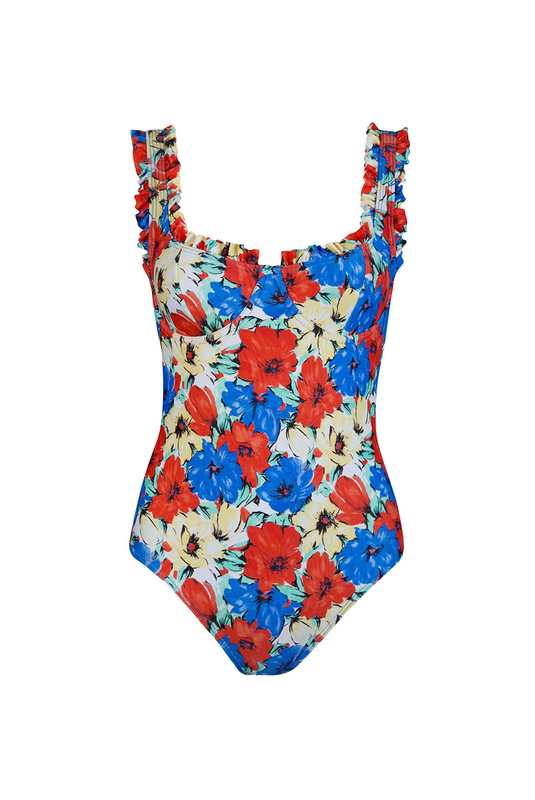 Our Valentina swimsuit also comes in Diana Floral and is as gorgeous as they get. Bold, bright and beautiful she won’t let you down. Wear on the beach, or even to your local swimming pool to show off. Either way, this swimsuit is so good you won’t take her off!One-Piece Swimsuit. Ruffle Details. Adjustable Straps. Fits Small on Bust, Please Select the Next Size Up. Main: 80% Nylon, 20% Elastane. Lining: 87% Polyester, 13% Elastane. Cold Hand Wash Only.